IT will most likely receive the CFO’s most attention. The CEO has a tendency to “live in the future,” focusing on vision, strategy, top line and product growth, and perhaps expanding the gross margin. The COO will tend to focus more on the day-to-day tactics of keeping trains running on time if there is one. IT is arguably in a space between which both strategic in the long term (especially when it comes to efficiently scaling a company) and tactically important in the day-to-day. 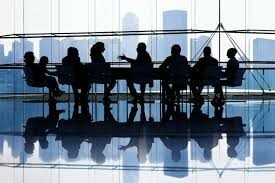 Good CFOs should be able to relate to this as they are able to balance their future meetings with their CEOS while remaining firmly grounded in past and current operations and performance. Ultimately, IT, like finance, is a corporate service provider. It is important for both functions to balance having the heart of a customer servant with being a good corporate steward. Having this similar DNA and striving for this similar equilibrium can help these efforts to work together well. Typically, IT functions are large spenders and IT spending is often analyzed within fairly clear frameworks of ROI (return on investment). Finance is known (or should be at least) to be pretty good at managing these kinds of things last I heard. That said, it is important that financial teams avoid the trap of being so focused on ROI or numbers that they lose sight of important qualitative factors or the big picture of what the company is trying to accomplish. This continues to be important when finance manages (or even just works with) IT.